Launched in October 2010, HyperVocal is a next-generation media company. We offer our readers a comprehensive look at the complete, hyper-frenetic news cycle — purveyors of the vital and the viral, online hunters and gatherers of what’s out there you need to see and read. We’re post-partisan Internet Sherpas, groundskeepers of rationality, arbiters of reality and pseudo-nonsense. 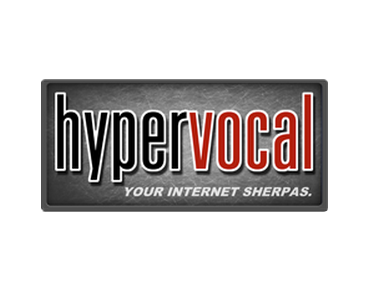 HyperVocal receives 1.5 million monthly pageviews and reaches over 900,000 unique readers. Description: This is an opportunity to sponsor a piece of relevant content to your brand, product or service, including a short message describing what you are all about. This will engage readers directly, and the post will remain on HyperVocal permanently while also being broadcasted across the HyperVocal social media channels. Requirements: The sponsor must be relevant to the HyperVocal community. Please provide enough information on your company, product or service in order for approval. In addition to sponsored content, HyperVocal also offers a variety of other personalized sponsorships that can cater to your brand’s needs. For for information on those opportunities please contact us below.